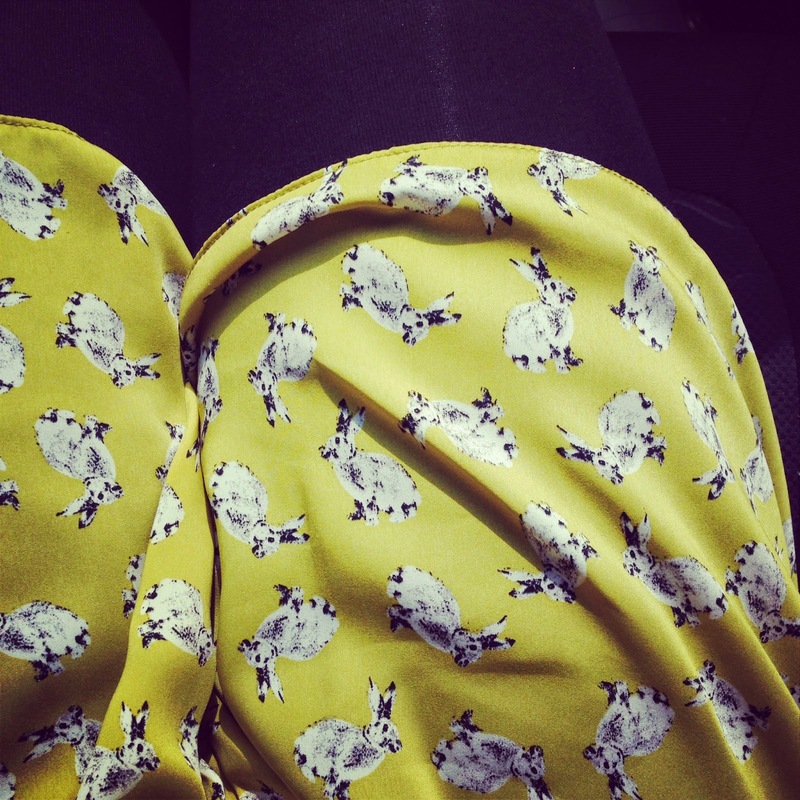 My obsession with bunnies is getting a little out of hand, but I needed this play suit in my life. I somehow didn't see this on ASOS even though I spend so much time on there, but luckily I managed to get this from Depop for £10. I adore the colour, it's perfect for spring and was really lovely to wear something bright in the sunshine this weekend. The material is really thin and kept me cool all day. I didn't manage to bare my super pale legs, but I was daring and didn't wear my cardigan all day..I can't wait to get some more wear out of this over the next few months. Oh this is adorable! Looks lovely.